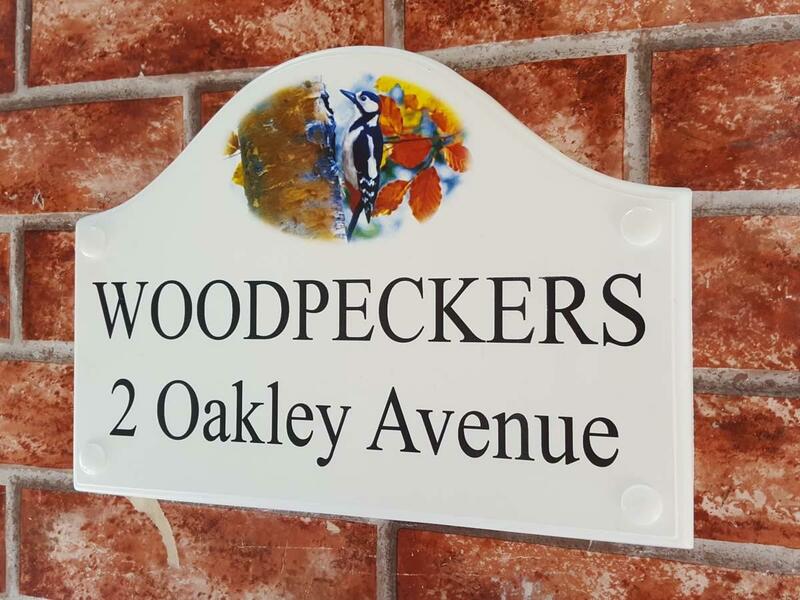 Select from over 80 different picture designs to customize this house sign. 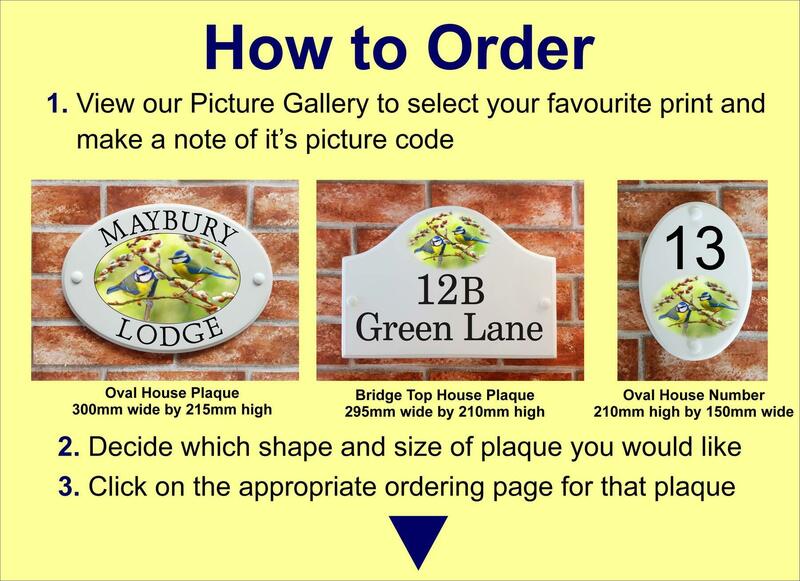 The pictures are printed in the top arch and your house name or address will be printed underneath the picture. Many kinds of subjects such as wildlife, floral designs, dog breeds, pets & hobbies are available. 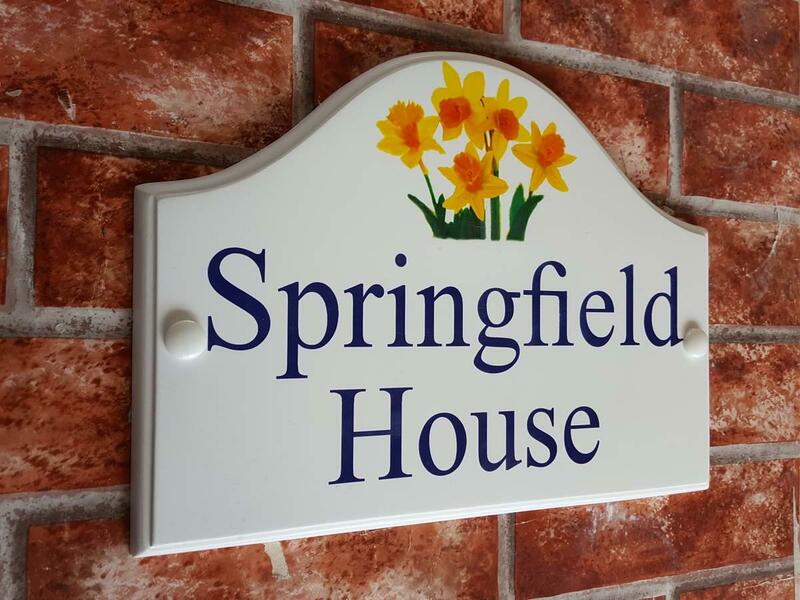 Made from Hand cast cultured marble the base plaque will withstand all the elements outdoors. The picture and text/numbers are UV resin ink printed and have a final coat of protective lacquer so they will look good for many years to come. 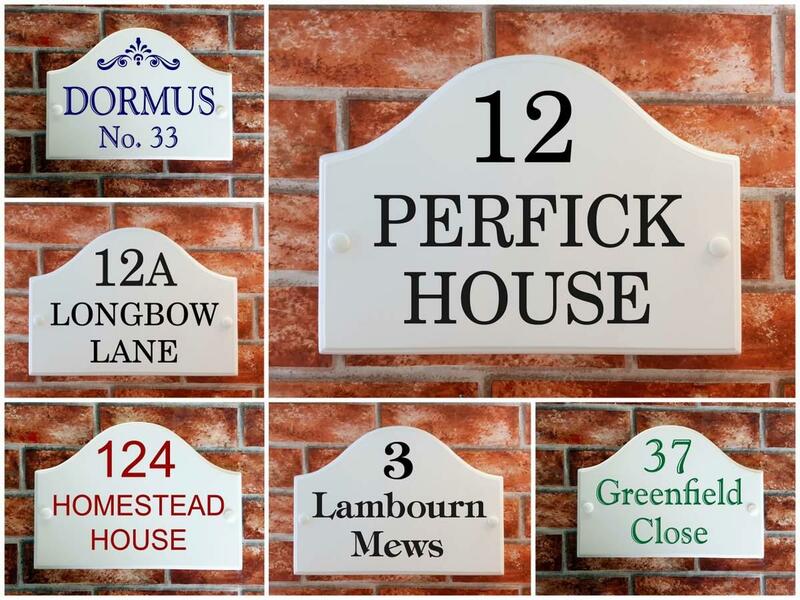 The ceramic style bridge top house signs measure 295mm wide by 210mm high and is 11mm thick. 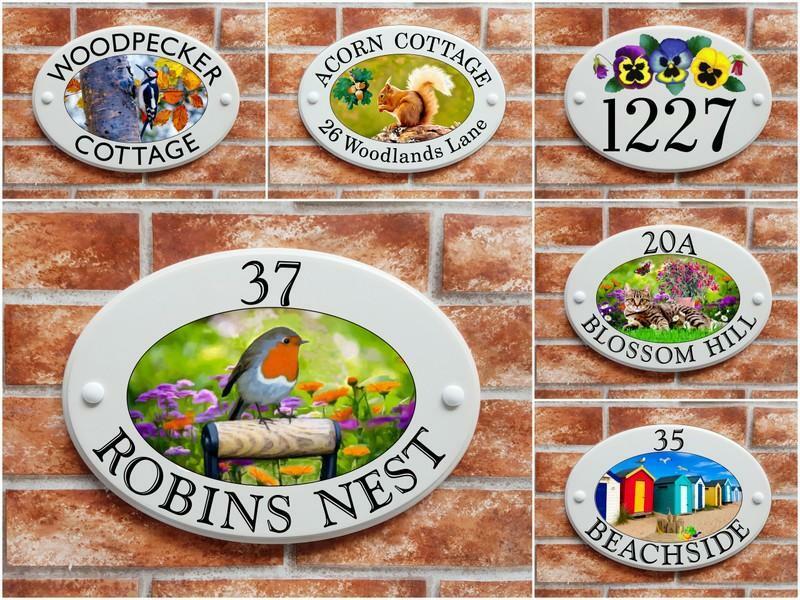 The range features a large choice of artistic digital prints of wildlife, animals, birds, pet breeds, flowers, hobbies & special interests with either black or blue text and numbers in a choice of 7 different fonts to personalise the plaque for your home.